Pupils were inspired by a number of visitors who came to speak to them during National Careers Week, about their careers and the opportunities available in their field of work. They included Sheela Medahunsi, a Set-up Specialist at Guy's and St Thomas' NHS Foundation Trust; Dhivya Subramaniam, a surgeon and health economist; and Andi Orlowski , Deputy Director of Business Intelligence, both at Imperial College Health Partners. 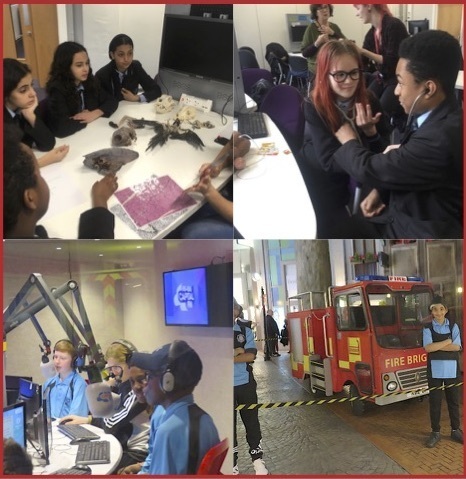 The week started with Year 8s visiting Kidzania in Westfield, an indoor activity centre based on the world of work, where children can role play a range of professions. In a separate careers trip, Year 8 pupils were taken to the Royal Veterinary College in Kings Cross, where they took part in workshops and heard about career possibilities in veterinary medicine, nursing and research.